Greetings friends and supporters of Houston Pop Culture Expo (#HouPop)! We have some very exciting news to share. First of all, we would like to thank all of the ticket holders, vendors, sponsors and celebrities who shared our vision of an innovative pop culture convention and have supported this vision along the way. Without you all HouPop would not be here today to takes steps towards the future. The journey has been a learning experience with many bumps and winding roads along the way. While it has not always been easy, we persisted through the growing pains and walked away from past endeavors with the lessons learned and are focusing only on putting together a great and wholesome event for our great City of Houston. In 2017, due to circumstances outside of our control, hosting HouPop was not feasible. Therefore we have made some arrangements to be able to move forward as best as we can. We have been working hard and diligently to come up with the best solution for our faithful Supporters and Guests and are thrilled to announce that we have acquired space in the Exhibit Hall at Anime Matsuri Convention from March 30th to April 1st, 2018 at the George R. Brown Convention Center in Houston, TX. The attendee badges which have already been pre-purchased will be validated and transferred to a weekend badge at Anime Matsuri Convention and our Guests and Vendors will be accommodated in the HouPop location within the Exhibit Hall. We take our responsibility to our attendees, supporters, and guests very seriously and are ecstatic about this opportunity. We would like to thank everyone involved in helping us with our situation. 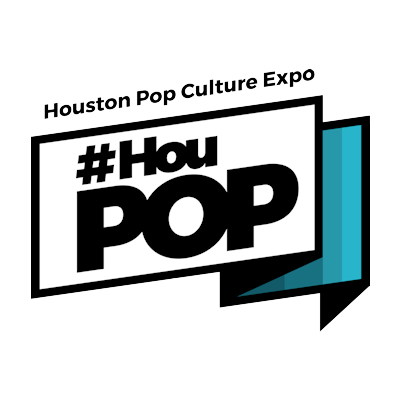 We ask our passionate supporters to come by the Houston Pop Culture Expo section inside Anime Matsuri Convention next year so you are able to visit our vendors and obtain an autograph or photo-op from one of our Guests. Together with your help and support we can move forward to a bright future.